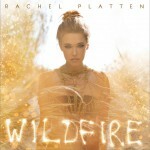 Rachel Platten is a New York City based musician who blends catchy piano hooks with a "light that seems to radiate"(NYC ARTISTS SCENE) from her unmistakably soulful, and uplifting voice. Though her lyrics explore serious themes, they are able to pull off the trick that all great pop music embodies: They do heavy philosophical lifting with a lightness that boosts the spirit. This is elegantly crafted, deeply melodic, intelligent songwriting that resounds with echoes of the Beatles and Carole King, Alanis Morissette and Regina Spektor. Her music is infectious, raw, and powerful and she's already got everyone from the Boston Globe to the New York Post singing her praises. Selling out clubs along her rigorous tour schedule, Rachel infuses a unique love and passion into each and every one of her performances. Growing up in Boston, Rachel never thought she was going to be an artist. Even though she was classically trained on the piano since the age of 5, the bliss of playing and singing didn't kick in until college while she was studying abroad in Trinidad. She was interning for a local record label when some of her co-workers encouraged her to start writing songs of her own. Taking their advice, she ended up becoming a background singer in a Soca band, with her first performance being in front of 100,000+ fans at Trinidad's annual Soca Monarch Finals. 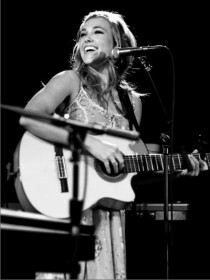 She was instantly hooked, and felt that she'd found her true calling in songwriting and performing. Naming influences such as Toots & The Maytals (who she was asked to tour with in 2006), Elton John, Carole King, Billy Joel, Lauryn Hill, The Beach Boys, she attempts to do what she feels these artists do so beautifully - infuse often weighty, serious subject matter with light and melodic intelligence that lifts you up and is instantly catchy. She uses this as her guide in what she aspires to do with her music: bring light and love to the world, completely enrapture her concert goers in a moment, and to alleviate their worries if only for the night and to just spread the love that she so clearly exudes. 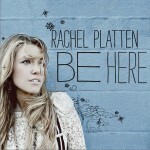 "Rachel P crafts songs with beautiful, memorable melodies and intelligent, moving lyrics. Then she delivers them with her compelling and powerful voice. She is an accomplished guitarist and pianist with enough stage presence to make you forget that anyone else is in the room. [She] is one of those remarkable and all-too-rare artists who remind me why I love my work." Bob Leone, Songwriters Hall of Fame.